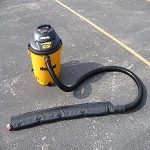 Clean up your detailing act with the Vacu Berm! 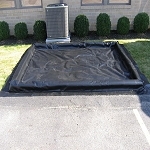 Stay in compliance with local laws by containing your wash water with the Vacu Berm. 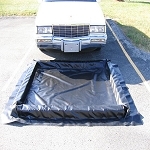 Vacu Berm For Mobile Car Washing will allow you to stay compliant with water runoff regulations! 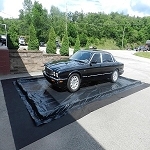 Detail King’s car wash water containment mats are commercial grade and enables you to be able to wash cars, trucks, SUV’s boats, and motorcycles while containing the waste water until it can be disposed of properly. 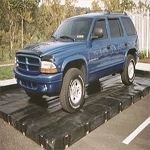 The foam wall berm models are designed for long life and very little maintenance. 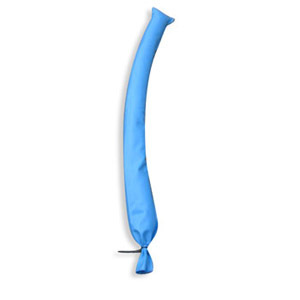 They are very simple to use and set up time is minimal. The wash water can be pumped out various ways, either through a vacuum water reclamation system or by a water pump water reclamation system. once the “gray water” is contained it can be properly disposed of. Check with your local EPA office to determine what you need to do to properly dispose of the gray water. 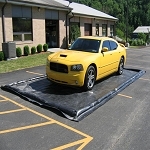 We also offer mini water containment mats that can be used with our Penguin P200 low pressure washer system. 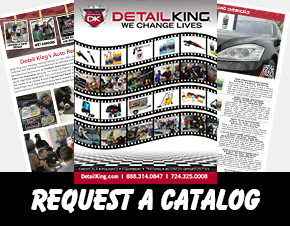 Detail King has the car wash mat water reclamation systems that your mobile detailing or car business needs. 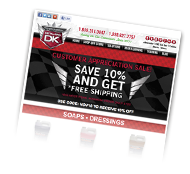 We have been offering eco friendly car wash equipment and systems for several years and are the experts in this field.